Phoebe Wilkens tells the story of Mabel Ambrose, a tragic figure in the history of Melbourne and of women. 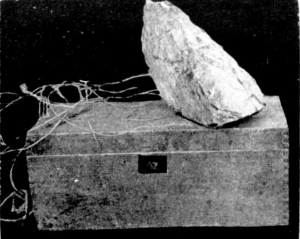 Box, stone and cord from case. Australian Town and Country Journal, 4 February 1899, 40. Over the last twelve months I feel I have become very close to Mabel Ambrose. Mabel is the main character in the latest episode of the recently launched Dead & Buried podcast, a collaboration focusing on Melbourne’s lesser-known – and sometimes dark – history. 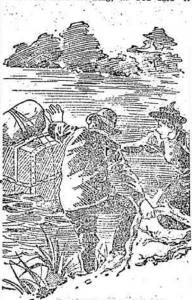 After her death, Mabel was known for a time simply as ‘the body in the box’: her decomposing body was found floating in the Yarra River in December 1898. The body was subsequently put on display in the Melbourne Morgue in an attempt to identify the ‘Jane Doe’. Many people – several thousands at least – viewed her corpse before its rapidly decaying state led to her body being buried, but only after her head was separated so it could be preserved in methylated spirits for future identification. Images of the mysterious body were also splashed across the pages of the local Melbourne newspapers to try to attract a witness able to identify the mysterious woman in the box. Five days later, the deceased was identified as Miss Mabel Ambrose, also known as Mabel Disscatia, a seventeen-year-old seamstress. Travice Tod. Australian Town and Country Journal, 4 February 1899, 40. Before Mabel’s demise she had found herself ‘in the family way’. She had been intimate with Travice Tod, a young and well-respected estate agent from South Yarra, who was also her mother’s landlord. Mabel was one of numerous nineteenth-century women – young, old, married and single – who suddenly found themselves in a difficult situation. A situation that many were willing to go to dangerous, and even deadly, lengths to escape. During the nineteenth and early twentieth century, the risk of falling pregnant from a sexual encounter was high. Precautionary measures in the form of contraception were expensive, often ineffectual and not always easy to come by. On the other hand, abortion was a readily available solution to women who found themselves with an unwanted pregnancy. Mabel’s pregnancy was not an ideal circumstance for either of the soon-to-be parents. The resourceful Travice Tod thus enlisted the services of Madame Olga Radalyski. Olga was a palm-reader, fortune-teller and masseuse, and a tenant in one of Travice’s properties. She was known to help girls like Mabel who found themselves ‘in trouble’. According to Travice’s later statement in court, Madame Olga read his cards and told him that he ‘was in trouble with a girl and recommended that the girl syringe herself with hot water and Condy’s fluid’, a common household disinfectant. However, the water treatment failed and Travice asked Olga to assist him in ridding Mabel of her ‘problem’. Thekla Dubberke. 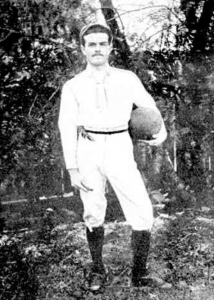 Melbourne Punch, 2 February 1899, 5. 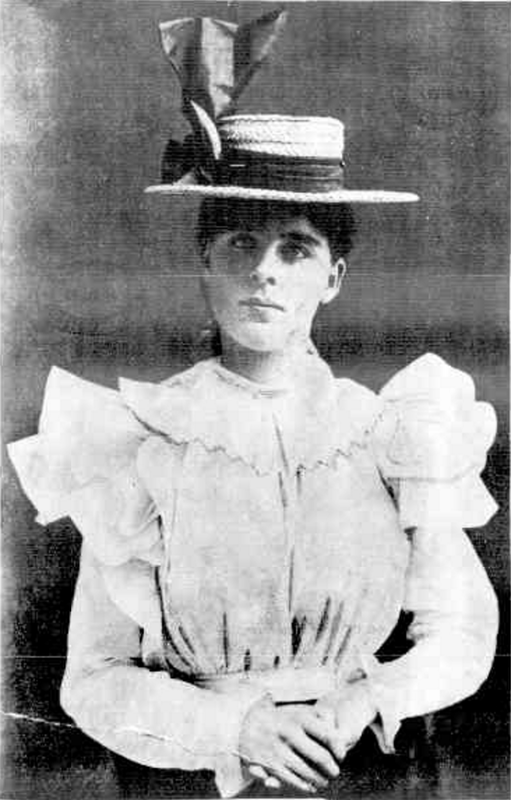 At Travice’s insistence, in December 1898 Mabel took up residence at 73 Osborne Street, South Yarra, with Olga Radalyski and a twenty-year-old woman, Thelka Dubberke, a reputed prostitute. Mabel had been receiving ‘treatment’ from Olga, which continued once she took up residence in Osborne Street. The ‘treatment’ was a procedure that she endured daily and involved attaching tubes and wires from an electric galvanic battery to Mabel’s womb in order to bring about a miscarriage. The Condy’s fluid treatment also continued. One of the disturbing factors in this case was also Olga’s insistence that Travice continue to be sexually intimate with Mabel during the treatment process, in the belief this would also help bring on the miscarriage. One day in December, after a number of sessions with the battery treatment, the pain became so excruciating that Mabel began screaming. Thelka later testified that it sounded like ‘a sort of muffled scream’ that grew louder and eventually prompted her to run to the bedroom. Olga, in an attempt to mute her patients’ screams, had firmly placed her hand over Mabel’s mouth. This not only stifled Mabel’s cries but her breathing, and she collapsed within a moment of Thelka’s arrival. By then her face was black. Olga ordered Thelka to retrieve hot water bottles and brandy in an effort to revive her patient. The hot water bottles were placed around Mabel’s feet and heart to try and keep the body warm and the alcohol was rubbed into her chest in an attempt to resuscitate her. But Mabel was dead. Pushing the box into the river. Sunday Times (Sydney), 15 January 1899, 10. Soon after Travice arrived. The trio panicked and decided that they would conceal the crime by burying the body. They stripped Mabel naked, cut a lock of hair from her head and rolled her up in a sack stamped ‘Patent Rolled Flour’. The plan was quickly changed when moving the body proved to be more difficult than they had anticipated. Olga suggested stuffing the body in a box and disposing of it in the Yarra River. The trio forced Mabel’s body into a wooden boot box, and Olga burnt Mabel’s clothes then disposed of the remaining Condy’s fluid down the drain. 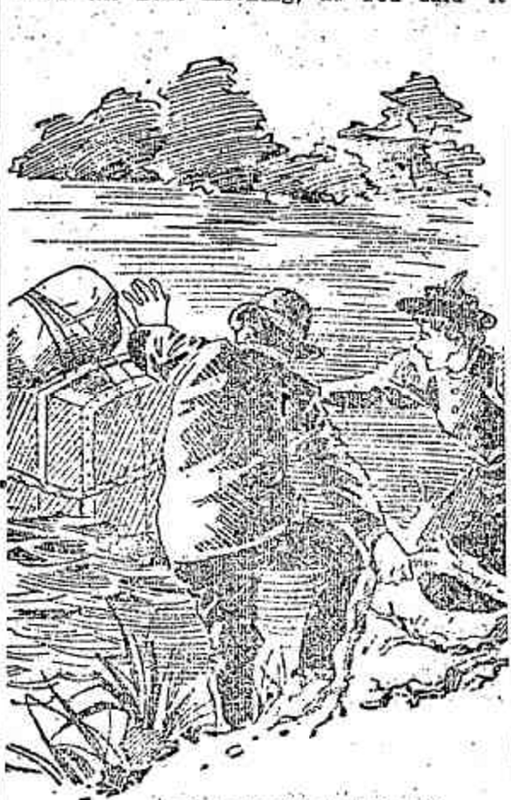 Travice and Thelka eventually tipped Mabel’s body into the river at the Williams Road ferry berth under the cover of darkness on 15 December 1898. Two days later the box was discovered by a group rowing along the river. In January 1899, Olga Radalyski, Travice Tod, Thelka Dubberke and a Dr William Gaze (who had visited the house and allegedly colluded with Olga about Mabel’s treatment) all stood trial for the murder of Mabel Ambrose at the Melbourne Supreme Court. The latter two faced no conviction; Olga and Travice were found guilty but recommended to mercy by the jury. Both were sentenced to be hanged. 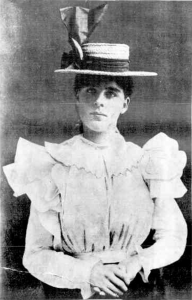 Mabel Ambrose. Australasian, 14 January 1899, 31. However, the public pleaded with the Governor of Victoria for clemency on their behalf. Travice, it was argued was ‘little more than a boy…[who had] fallen into this position somewhat thoughtlessly.’ Olga was older and had ‘physical infirmities…being extremely deaf and partially blind…and she did not treat…Mabel Ambrose Disscatia for the purposes of gain’. The petitions were granted; both parties had their sentences commuted to time in prison with hard labour. By 1905, seven years after their conviction, both had been released to go on with their lives. 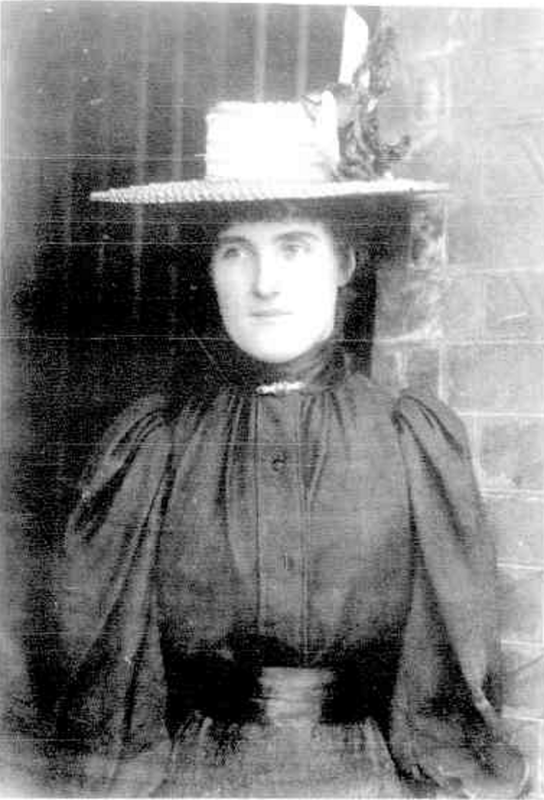 Thelka Dubberke had been sent to a female refuge in Cheltenham, and in 1900 it was reported that she had married. Mabel Ambrose though will forever be known as ‘the body in the box’. Despite the many horrors of this case and the media attention it attracted, it seems apparent that the public and officials were to some extent sympathetic to the parties involved. This was perhaps partly because, despite abortion being illegal, it was also an everyday reality of nineteenth-century life, especially for working-class women. A Royal Commission on the Decline of the Birth-Rate reinforced this a few years later in 1904. Even a hundred years ago many in the Australian community thus appreciated the overwhelming hardships that confronted women unwantedly pregnant, hardships that made considerable pain and even possible death seem a risk worth taking. The Dead and Buried podcast was established by Born and Bred Historical Research, and aims to uncover the untold and unexpected history of Melbourne. It was funded by a grant from the City of Melbourne. You can listen to it here. Phoebe Wilkens is a Director, researcher and one half of Born and Bred Historical Research. 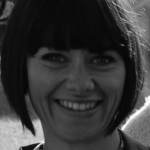 Phoebe has an Advanced Diploma in Local, Family & Applied History and a Bachelor of Historical Inquiry and Practice from the University of New England. She is also a member of the Professional Historians Association (Victoria) and has experience working at the Public Record Office Victoria (PROV) and the Geelong Library and Heritage Centre, as well as volunteer work at the Royal Historical Society of Victoria. Phoebe’s passion is family history research, women’s history and uncovering those skeletons in the closet.